79735-RB is rated 5.0 out of 5 by 33. 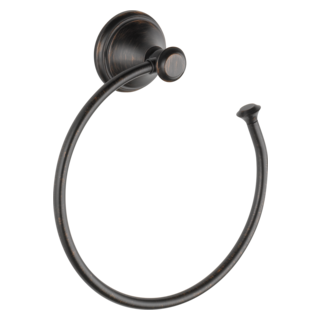 Complete the look of your bath with this Cassidy Robe Hook - Single. 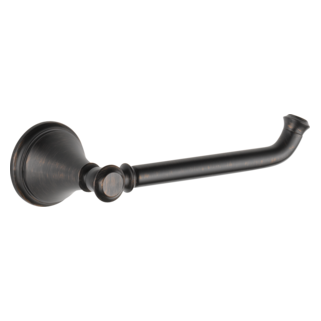 Delta makes installation a breeze for the weekend DIYer by including all mounting hardware and easy-to-understand installation instructions. 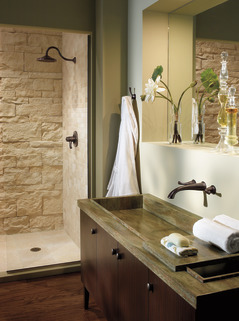 You can install with confidence, knowing that Delta backs its bath hardware with a Lifetime Limited Warranty. 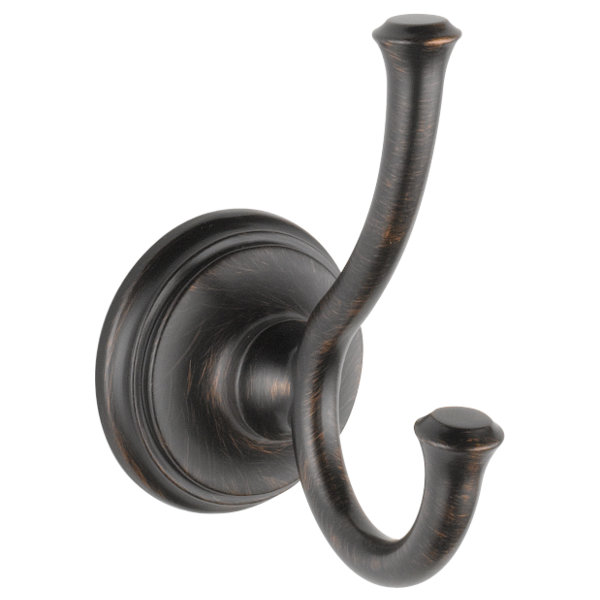 Rated 5 out of 5 by Newhomeowner from Easy Install Solid & functional with easy installation. Rated 5 out of 5 by Leigh from Easy to install Great classic look! Easy to install!! Rated 5 out of 5 by Leslie Onsager from Complete the look This was purchased in a Champagne Bronze finish, which is beautiful. Added an elegant touch to a beautifully completed bathroom. Installs well and holds up great as well. Thank you Delta for providing coordinating items to make the collection complete. Rated 5 out of 5 by Riverside from Great Size Love the size of the hook and ability to hang more than one item on it. 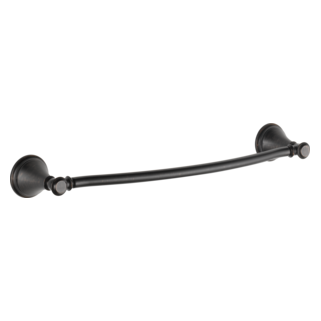 Rated 5 out of 5 by Sarah from Review of Delta 79735 Robe Hook My husband and I were always trying to find a spot for our robes in our bathroom. 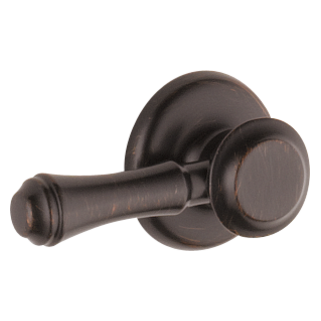 Remembering that fine hotels always provide a hook for a robe, we purchased two Delta 79735 robe hooks. We placed one on the inside of the main bathroom door and one on the inside of the potty door. It was the perfect solution to keep a robe handy for both of us. 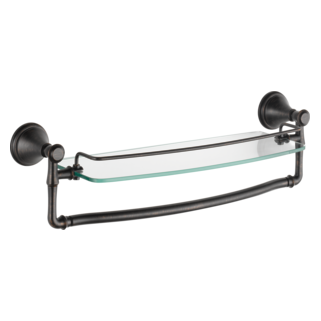 Rated 5 out of 5 by MBlomstrom from Beautiful & Sturdy Hook We recently renovated our Master Bath and put two of these side by side on our wall for robes. They're a nice weight (not lightweight and cheap feeling) and provide an added touch of nice detail to the room. We went chrome to match our faucets and shower system. Very happy! 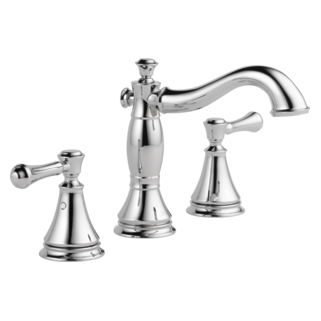 Rated 5 out of 5 by cswanson from Great Quality I used Delta Cassidy faucets in my daughter's bathroom remodel and liked it so much, I used it in mine in a different finish. Both are fabulous! 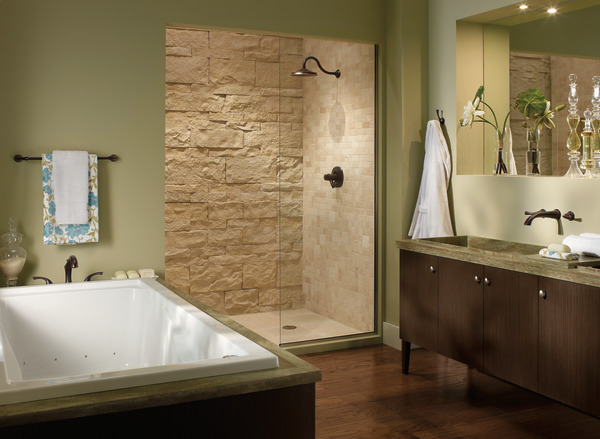 Can the cassidy robe hook be used inside a shower stall? will finish withstand water ? Thank you for your question. 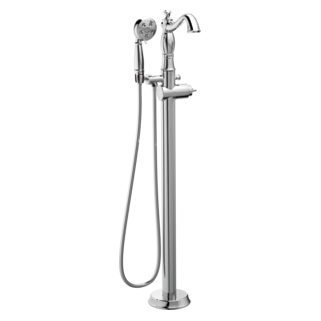 Delta Faucet model # 79735-RB is not recommend to be used inside the shower as the mounting brackets are not treated to prevent rusting. It could damage your wall. 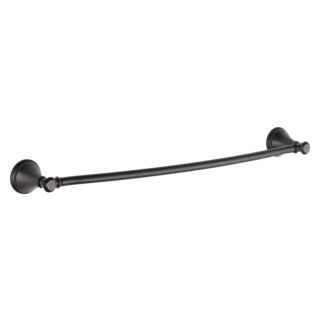 A previous FAQ response suggested not mounting this robe hook inside the shower stall because the mounting hardware is not rust treated and could damage the wall. How could I attach this to my interior shower wall without rust ruining my tiled wall? I don't see the template. I assume from the small picture that the template is a strip that allows alignment of 4 hooks. Can I download the template somewhere? 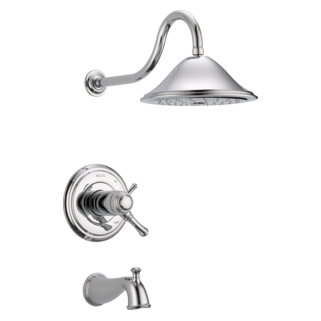 For example: the Cassidy bathroom Collection appears to be very similar in style to the Linden Collection, but the stainless finish in Cassidy appears to have a yellow tint whereas the stainless finish in Linden does not, will these products match in color if I were to mix the two collections in one bathroom? Would you recommend mixing these two? Thank you for your question. If the model you are purchasing has an SS on the end of it, then it should be the same finish. There may be slight differences in the finishes based on the procedure we use to put the finish on the faucet but they should be close in color.